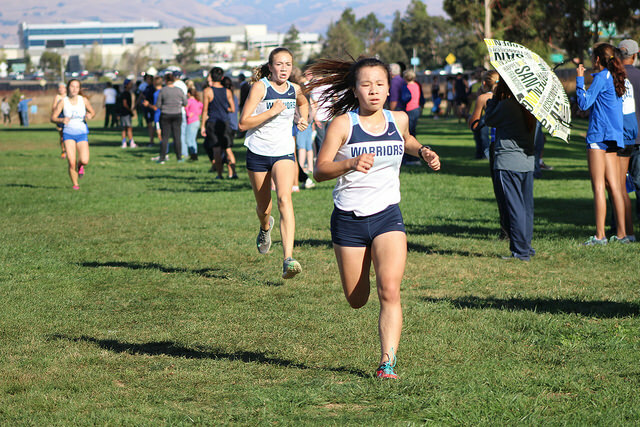 Sunnyvale, CA - The school record for team time along with individual records on both the boys and girls side fell Thursday, as the Warriors opened league competition at Baylands Park in Sunnyvale. 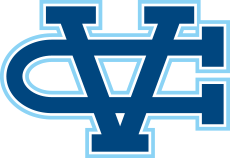 The Lady Warriors rewrote the all-time list running the three fastest performances in team history. Brianna Becerra led the charge running 21:09 and was followed by freshmen Mackenzie Thomas (21:15) and Kayla Nanez (21:30). Sophia Patterson was next across the line running 21:53. Kiko Li rounded out the scoring running 22:14. Hannah Theaker rounded out the varsity team running 22:15. The varsity team finished fifth. Nicole Favre dropped over a minute from her season debut at Stanford Saturday leading the JV girls in 22:37. Ashley Clayton (23:02), Vanessa Giacalone (23:20), Maggie Theaker (23:43) and Sandhya Bellary (24:53) rounded out the JV scoring team that finished 4th in team scoring. The boys also had some impressive stats of their own running seven of the nine fastest team times since WCAL began running the course in 2012. Joe Renati led the way running 17:00 for the 5k course. Sam Cuevas was #2 runner with a personal best 17:30. Nedu Ndili (17:43), Cameron Lockard (17:46), Justin Baraona (17:54), Peter Enfantino (17:56) and Dean DeMoss (18:03) rounded out the team scoring. All seven boys ran personal bests on the day. Freshman Jake DeMoss led the JV team running 18:57. His time ranks him #13 all-time for the Warriors and is the team's freshman record. The team will travel to Fresno October 10 to compete in the Clovis Invitational before resoling league competition October 15 in Golden Gate Park.